Bonney Brown: What led you to get into the field of animal sheltering and welfare? Jason Stipp: Animals have always been a passion of mine, especially pets. I also had a real desire to teach and became a middle school teacher in the Bay Area for 10 years. When the housing market became problematic in 2009, my wife and I were both laid off. We decided to leave the hustle and bustle of the big city and move to Incline Village. I didn’t have a job or know anyone there, so I began volunteering at Pet Network Humane Society walking dogs. It wasn’t long before I was offered a part-time position. Then the chairman of the board (of directors) approached me about the executive director position. I told her I didn’t think I had all of the necessary background to run an animal shelter! She smiled and told me Pet Network was looking to redefine itself within the community and that she believed that started with education. I thought to myself, “Maybe there is something to this.” I feel like I have the ultimate dream job involving my two greatest passions! BB: What do you like most about your job? JS: Because Pet Network is a no-kill animal shelter, I love that every animal we save never runs out of time. We rescue at-risk animals, truly giving them a second chance at life. BB: Tell me about your first pet? JS: My first pet was a rescue, but not in the sense you might think. He didn’t come from a shelter or rescue organization, but rather a den his mother had made under an old building. My dad worked in construction and every day at lunch he and his crew would feed this stray, nursing mother dog. One day, the crew found the mother had been hit by a car and killed. My dad immediately thought of all those puppies starving and cold under that building, and he began trying to coax them out with a few scraps from his lunch. On this particular day, my dad was having tacos for lunch and it was a taco that enticed the first puppy out. This skinny little beagle mix, scrawny and malnourished, was given the name “Taco” and lived a beautiful life with our family for the next 16 years. BB: What are the most pressing needs you see for animals in our community? JS: There are many people in my community who would love to rescue an animal, but they are not able to do so because their rental property does not allow pets. If more property owners were open to the idea, it would make a huge difference. Also, a low-cost sterilization and vaccination clinic is needed. BB: How can people help? JS: Spay and neuter your pets. Adopt your next pet from a rescue organization. Volunteer and donate to your local rescue organization. Foster a homeless animal. BB: What is your vision for the animals of the community? JD: My vision and dedication remains steadfast in making not only my community, but every animal facility in the state of Nevada, no-kill. It is my hope that all rescue organizations, shelters and animal control facilities will begin to work together to reach this goal and set examples for other communities. 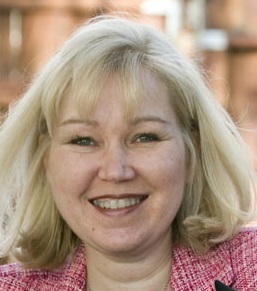 Bonney Brown is co-executive director of Maddie’s Pet Project in Nevada and president of Humane Network. You can reach Bonney at bbrown@humanenetwork.org. Jason Stipp is the executive director of Pet Network Humane Society, www.petnetwork.org.